Renault India, one of the fastest growing automotive brands in India, forayed into the compact hatchback segment, with the Attractive, Innovative and Affordable Renault KWID. KWID has been a true game-changer and continues to drive volumes for Renault India, with more than 1,75,000 cars sold so far. With Renault India’s decision to pass on GST benefits to the customer, Renault KWID has become even more affordable with a starting price of INR 2.62 lakhs (ex-Delhi). Total savings on KWID range between INR 5,200 – 29,500 depending on the state, model and the variant purchased, basis the tax rates applicable prior to GST. Speaking on the impressive sales milestone, Mr. Sumit Sawhney, Country CEO and Managing Director, Renault India Operations, shared: “Renault KWID has proved its mettle in the fiercely competitive mini hatchback segment in India. Since its launch, we have introduced product enhancements and innovations at regular intervals in keeping with evolving customer behaviour and preferences including the CLIMBER and AMT versions. Indian customers favour products that are contemporary, offering the best value proposition. We are grateful to our customers for the trust bestowed in the Renault brand and will continue to make the KWID more accessible to customers across the country through our growing dealership network”. Renault has a very strong product lifecycle plan for KWID in keeping with evolving customer preferences and will continue to raise the bar in the mini hatchback segment in India. After the launch of KWID 0.8L, Renault launched the KWID 1.0L SCe engine in manual transmission (MT), offering a more powerful option to customers looking to purchase cars in the compact hatchback segment. 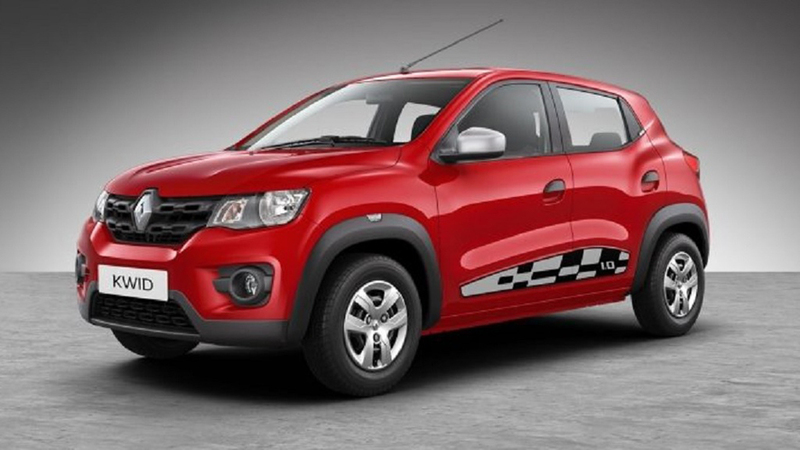 KWID 1.0L set new benchmarks in length, power to weight ratio, boot space, ground clearance and technology. Taking this forward, Renault launched KWID AMT powered by the 1.0L SCe engine in keeping with evolving customer preferences, as AMT technology is becoming popular in the compact hatchback segment. Together with the convenience that the KWID AMT offers, it comes with a revolutionary first in segment SHIFT CONTROL AMT DIAL (R-N-D) instead of a conventional gearstick and it boasts of the same class leading and segment redefining features that have made KWID a runaway success in India. This was followed by the KWID CLIMBER launched with the 1.0L SCe powertrain in both manual and AMT options. KWID CLIMBER has been developed keeping in mind specific customer needs and caters to diverse audiences, becoming the perfect offering for young achievers who are moving up places steadfastly. With the KWID range comprising of the 0.8L, 1.0L MT, 1.0L AMT and CLIMBER, Renault has made its intent clear of keeping pace with global innovations and at the same time launching products to suit the local needs with a strong product lifecycle plan. Renault has grown its presence exponentially in India, becoming one of the youngest and fastest growing automotive brands and the number one European brand. Over the last few years, Renault has focused on establishing a strong base in India. Together with a strong product offensive strategy led by KWID, Renault has been continuously undertaking strategic measures across all key business dimensions, ranging from product, network expansion, pioneering customer oriented activities and several innovative marketing initiatives to ensure unmatched customer satisfaction.